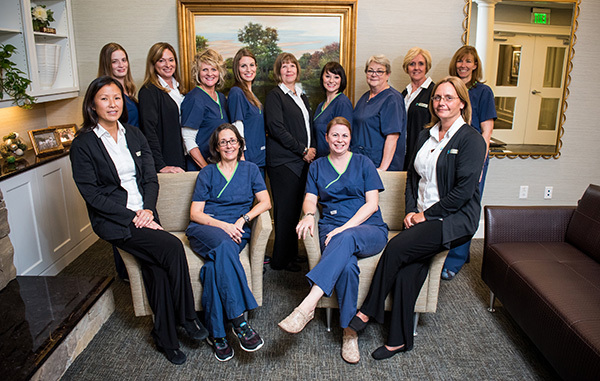 The staff of Raleigh Periodontics brings years of experience and enthusiasm to the care of patients. Our team is comprised of caring, dedicated and highly trained professionals. A testament to our commitment to our patients and each other is the fact that multiple members of our staff have worked in our office for 10 to 20+ years. Our staff communicates well with our patients, each other, and referring teams to ensure that our patients’ treatment and administrative needs are met as efficiently as possible. We are here to listen to your questions and concerns so that we may help provide solutions that will lead to your better overall health. Our staff routinely attends continuing education courses to stay on the cutting edge of dental care, technology and treatment. We strive to ensure a warm, caring, educational experience when you are in our office.